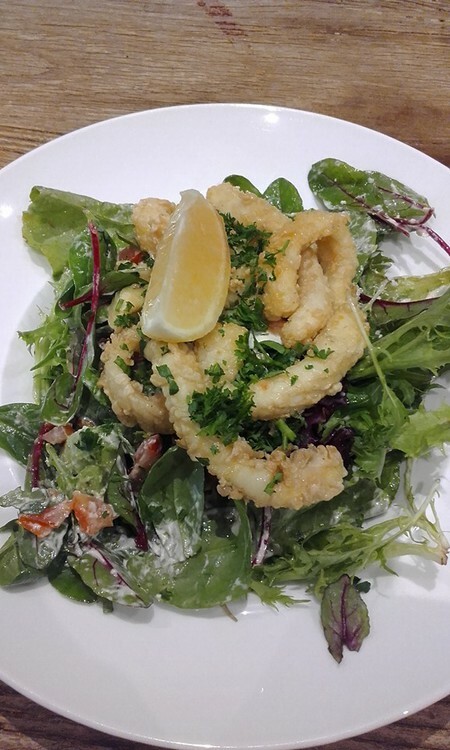 'House Seasoned Calamari on mixed leaf salad', served fresh and to perfection at Werribee CBD's hidden gem, Mondells Patisserie. Mondells sure knows how to serve up customer's favorites and also plenty of special little extras. This menu item is no exception. Fresh and seasoned Calamari on a fresh salad made up of Feta, Avocado, and Tomato tossed in a mixed leaf salad with Lime Aioli dressing. This is just one of many fantastic dishes available on the extensive menu at this 100% family owned and operated cafe.